Simon adds – It’s of course Jonny Kearney & Lucy Farrell that Jon is referring to, who met at Newcastle Uni and have since been attracting considerable praise for their understated but lovely debut CD, The North Farm Session and it’s indeed Lucy, once more, singing with Jon on this lament. There has been some serious debate as to the songs origins and it is often credited as being from Nova Scotia, or as being a Canadian folk song. A broadside print, however, apparently dates this to 1820s and New York and things are further confused as a version also became a popular music hall number in North America in the 1880s. Both Scots and Irish origin have also been suggested, although no record exists before the revival in the 60s. In truth, the lovelorn sentiment is both fairly common and universal and floats through many songs, The Water Is Wide for example. Should you wish more detail, I’ve condensed the above from this Mudcat thread. I must say I like the pace of this, it makes it all the more heart rending. This entry was posted on Friday, January 9th, 2015 at 12:00 am and is filed under News. You can follow any responses to this entry through the RSS 2.0 feed. You can leave a response, or trackback from your own site. Sorry again folks something has gone wrong with the site and I’ll have to ask other admin Ben to give it a good once over as it’s not updating and keeps missing the schedule. I’ll make sure the next one is up before turning in for the night, so it will probably be early and we’ll try and fix it tomorrow. Wow.what a hybrid…….seems to contain bits from a multitude of folk lyrics. A pleasant interpretation to listen to…noticably slower than other songs with the same melody. You’ve murdered it. Exactly what’s wrong with modern folk music and singing in general. You seem to be attempting some sort of shamanism when all that’s required is to sing the blinking melody properly and in time. No-one could dance or be soothed, let alone sing along to this: is one supposed to gasp in admiration at your chutzpah? Because that’s all you’ve got. Bluntly, this is absolutely awful. Sorry to say it, but I agree with robin kelly here. It seems to be sung to deliberately stop anyone from joining in. Mind you, I was brought up on Ronnie Drew’s version and you can’t get more different than that! Dunno what Robin Kelly’s problem is (seems rather churlish to be that nasty about a recording that’s been offered completely free of charge; I can’t ever imagine getting that angry and vitriolic over anything I hadn’t paid for and/or been forced to listen to) but I thought this version of this song was absolutely beautiful. Simple solution Robin – show us how it should be done. Over to you. Nicely dignified response Mr B. From where my ears are sat, it was entirely appropriately arranged for it’s sense and feeling. I must join you in your praise for Jonny and Lucy: I saw them support the Unthanks and thought them the bee’s pyjamas. Like ‘Leaving of Liverpool’, a lament for lost love that often falls victim to an upbeat Irish Pub treatment that doesn’t fit well with the sentiments expressed. Good to hear it done properly. @Jane – you listened twice? Good grief. Peggy Gordon can be any speed you like, but please don’t add notes that shouldn’t be there – and if you’re unable to recognise bum notes and bad singing please don’t delude yourself that what you’re doing is making good music. @Joanne: comment is free, too. My problem, as you put it, is that this is a really, really bad version of a folksong. That’s all. Your definition of ‘absolutely beautiful’ probably includes Thomas Kinkaid landscapes. @Simon – Come and hear me at Celtuic Connections; I’ll sing it for you alone. I have this song on an old Corries LP. Roy Williamson was the singer. Have to admit to preferring his version, but it was interesting to hear another take. Robin I wish I could, but if you can send me a link to your version I’ll happily put it up. I didn’t mean to be curt above. We have been open door and I’m very happy for people to be passionate. Nothing is above criticism, I’d just prefer it to be positive rather than resorting to a simple slagging – if you don’t like it that’s fine, but not everyone thinks like you do. Robin – have you not heard of grace notes? I find Robin’s comments unnecessarily vitrolic. There have been many comments on here (myself amongst them) disagreeing with song selection and/or style of rendition – but I don’t recall one of such a personal nature before. Really unpleasant. A big ‘hear hear’ to Stephen H. There was a reference to ‘Thomas Kinkaid landscapes’ so full of condescension it made me feel uncomfortable. BUT…the the vast majority of the posts I read couldn’t be further from that attitude. There is wit, erudition and passionate debate. As a listener, not a musician or collector, I learn something every day, and I thank you all for it. @Robin – I’m afraid had no idea who on earth ‘Thomas Kinkaid’ was, and had to Google him. Unfortunately you made that quite difficult by spelling his name wrong. Can’t say his landscapes lit my candle when I found them, but obviously some people like them, and if it makes them happy, that’s splendid for them. Comment is indeed free, but being that nasty about something you didn’t have to listen to and didn’t have to pay for is simply unnecessary and rather stretches the definition of ‘comment’. The issue for me was *not* that you didn’t like the rendition of the song, but more that you expressed that in a manner that was remarkably and needlessly vicious. I notice that others who haven’t always been keen on versions of songs on this site have managed to express themselves with the utmost politeness and charm, so I can only assume that your inability to do the same is a symptom of a wider lack of manners. I’m also struggling to grasp why you think ‘comment is free’ when you’re moaning about something, but then can’t accept that comment is equally free when someone happens to enjoy something different from you. I can see why you don’t like this version of a song… but is there any particular reason why it matters to you that I did? I’m genuinely puzzled that it would bother you. 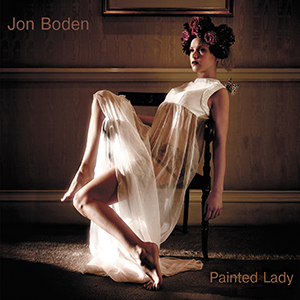 The versions of this song that you enjoy won’t cease to exist because Jon Boden recorded this one. You must be terribly angry all the time if you get this worked up every time someone doesn’t share your taste. As I said, *my* bemusement was at your rudeness, not that you didn’t like the song. 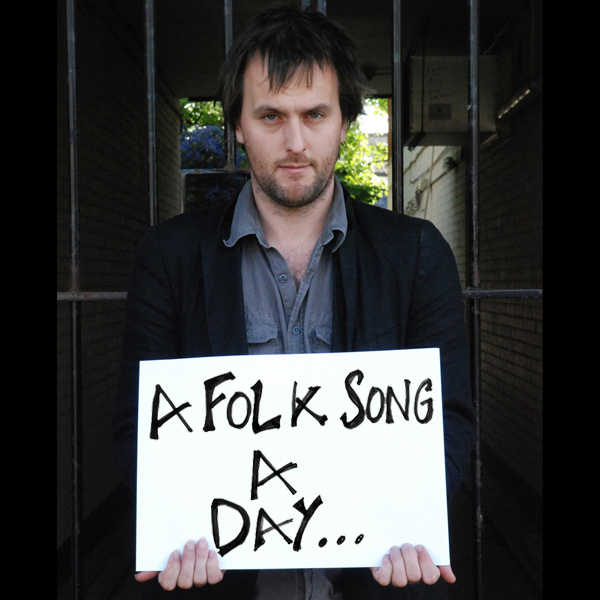 @ Simon and Jon: I’d just like to say that I’m the first to admit that I haven’t been into folk for a particularly long time, and it took me a while to pursue my burgeoning interest – and that was partly because of the attitudes of people very much like Robin Kelly. I’ve learned a huge amount from this site, including plenty of songs I didn’t know (although this is one I actually had heard before). I’ve enjoyed reading about every song, and have been prompted to seek out different versions by other artists too. From that I’ve discovered lots of singers and bands I hadn’t encountered before – some very traditional, some less so – which has been great fun for me (albeit expensive; I hold you responsible for my massive iTunes expenditure of late). Thanks so much for this site. If I’m anything to go by, the end result of a project like this is to bring great folk songs and fantastic musicians to a new audience, which as far as I’m concerned is generally speaking A Good Thing – so please do continue to irk the purists if need be. Joanne I’m really pleased that you are joining us on our journey and you are most welcome. I really can’t claim any great expertise on folk music, hence my efforts to research the songs. Even Jon will admit to learning – he’s certainly had to expand his repertoire to finish the project and will probably cast a critical gaze back once we’re done. If you find inspiration then that really is object achieved here and I hope the things you discover give you pleaure for years to come and things to share with others as it all makes the puchasing less painful ultimately!! I will remove posts and posters who cross the line. We have only had one (using a number of pseudonyms) to date. I hope that remains the case. @Robin – The only damage a singer can ever do to a song is not to sing it. A song belongs to whoever is singing it. You may not like what Jon and Lucy do with this (And yes, it could have done with a little more rehearsal before recording, but that seems to be rather counter to what AFSAD is about), but it’s not been “Murdered”. Far from it – it’s been _sung_. The song you love is still there, and you can sing it as soothingly as you like, or be soothed by another singer’s reading of it. But give me Lucy’s version, which lets the words breath and the unsettling nature of the narrator’s obsession come to the fore, over any singalong version you care to mention. This isn’t “what’s wrong with modern folk music and singing in general”, it’s exactly what’s right. Young (well, from a folkie’s perspective at least) singers having a crack at something. Yes, sometimes that means that they don’t quite succeed, but I’ll take that over the same, grey, singer singing the same, grey, song in the same, grey, way. For me, folk music gets renewed by new people trying new things with old material and finding new relevancy. It’s not about preservation, it’s about reinvention. Attitudes like yours are the reason that I’ve been the youngest man in the folk club for the last 20 years. The fife and drum mentioned in the chorus “Streets of Laredo” and the “St. James Infirmary Blues” that wouldn’t have been used commonly in New Orleans or the American West but do make sense in the context of the earlier British song. Anybody else have anomolies or variations they find interesting or funny? @Brie: Belfast Mill is a direct adaptation of ‘Aragon Mill’ by Si Kahn who is very much alive and hopefully collecting his royalties. Latecomer that I am to this controversy, I liked the song and the singing of it. When you’ve not heard it before, it doesn’t matter if it is a very singular variation. It’s good to just listen sometimes, esp to professional singers with good voices and interesting interpretations. Not all songs lend themselves to singalongs, but all lend themselves to flair, and we’ve already had the debate about perfection and why the songs on here are not being recorded to CD, but more akin to varied live performances. So, I’m with all the positive comments above and none of the negative, which seem to me to imply that there’s an immutable ‘right’ way not only to act, as in sing, but to hold opinion on matters of taste and culture. That’s getting a bit too ‘right’ wing for me and thought police-ish! I’m a learning non-performer too, and my comment is not free, only freely given. It takes my most irreplaceable resource to comment – the time of my life – but I’m having it on here! I think Robin had a point, although it could have been better expressed. 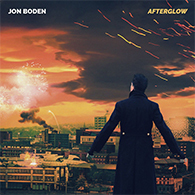 I do think that timing is a bit of an Achilles’ heel for Jon on unaccompanied songs; he’s very prone to letting the pace & the metre slip for the sake of emphasis & atmosphere, which is almost always a bad idea. Having said that, I absolutely loved this one! Is there some subterranean connection between this tune and Brave Wolfe, btw? PS Also, what Piers said. “Peggy Gordon” is “As I Walked Out One Midsummer Morning”. As the saying goes “You can’t please all of the people all of the time etc…..” and some people do love to carp. I tend to try the approach that if you can’t say anything pleasant then keep your trap shut. Some of last years comments were distinctly rude and totally unnecessary. I will climb down off my soapbox now and state – a nice duet. Hi folks, sorry about yesterday’s song, which had the incorrect time set for some strange reason, but better late than never. I was out most of the day, doing a favour for my neighbour, so didn’t log in and spot the problem. The controversy over Peggy Gordon seems really strange in retrospect, but Piers hits several nails squarely on the head. There are so many versions of this that differ wildlyand there’s a version by Sinead O’Connor on YouTube, which will doubtless really divide the house. It’s either a thing of beauty of a dirge, although I lean towards the former… There is never only one way to sing a song. With my rose-coloured specs I could find no fault. This is two people singing a song………at a particular time……..you like it -or not……..I loved it. Folk music and song are a living and breathing tradition and prone to individual interpretation, to me this a good thing not bad. I tend to remember the song that is the most unusual. This song is a lament, and the feeling and sentiment are wonderfully expressed here. I have heard other versions and each have their merits. This performance widens the bounderies of self expression. I first heard this sung back in the 60s at a Southampton folk club, and loved it, and learnt it. (I had probably been “Slighted sore” by a lass at the time and it suited my mood ) I used to sing it in pub sessions or around campfires on climbing weekends, at a slightly faster tempo, but just as sorrowfully, and I can still remember the lyrics perfectly today. The fact that I cant remember half of what I did last week is neither here nor there ! It is a smashing song, so SING it at whatever tempo suites your mood, you will not harm the song. Lovely harmonising on this song. I learnt this from the Ewan McColl and Peggy Seeger version at a time when I was ‘so deep in love’ but this version so exactly captures how I was actually feeling. It is beautiful. I have not listened (yet) to this song. From the conversation here I reckon it’s probably not worth it. The only version I know is by Sinead O Connor and like the rest of that Irish album she did I think it’s great. She can sing. The only critique on that album in my modest opinion is all that echoing going on; I don’t understand why that was thought necessary. Blimey Guvnor………Young Robin certainly sparked some exchanges….he never posted his version though!